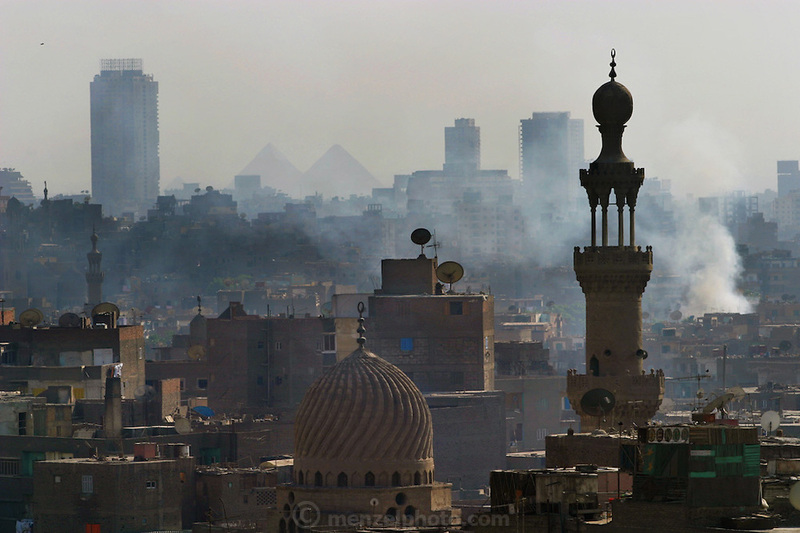 The pyramids of Giza seen through the dust, smoke and haze of Cairo Egypt from the minaret of a mosque. (Supporting image from the project Hungry Planet: What the World Eats. ).